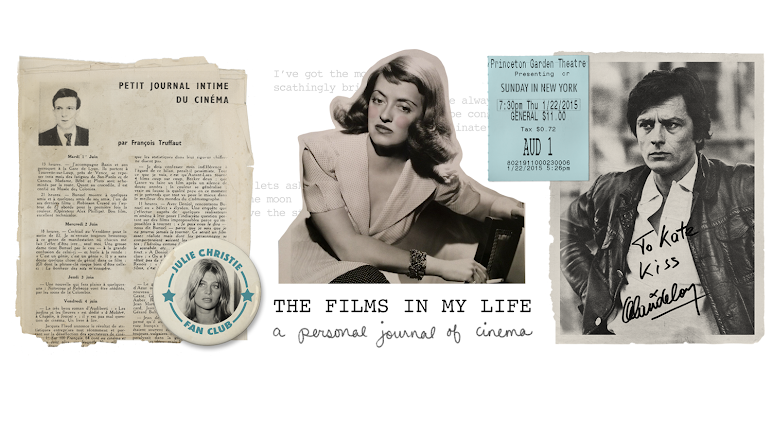 The Films in My Life - a personal journal of cinema: Got Classic Movies? 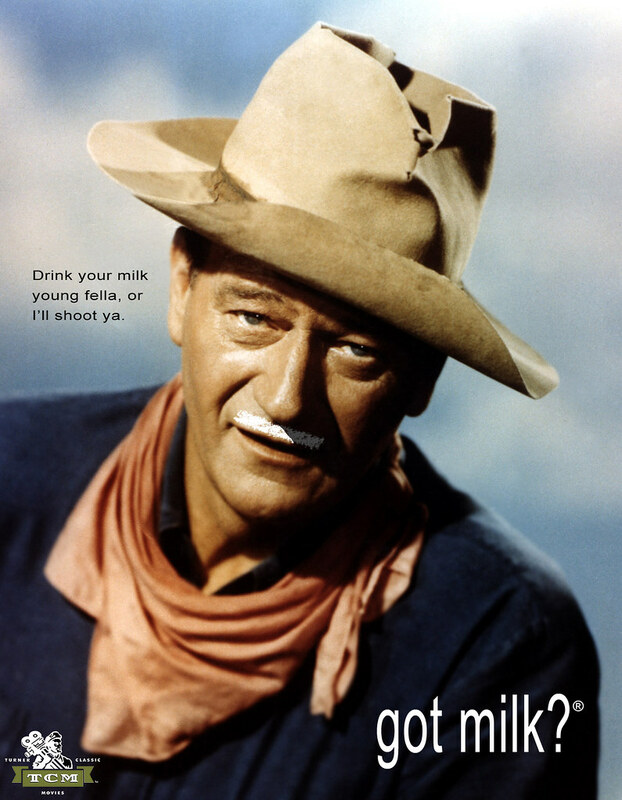 John Wayne: Drink your milk young fella or I'll shoot ya. 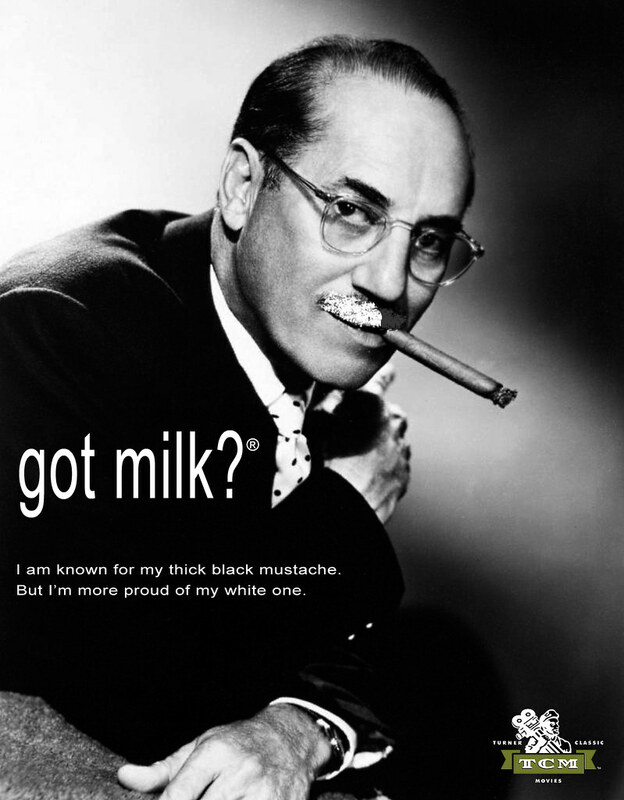 Groucho: I am known for my thick black mustache. But I'm more proud of my white one. 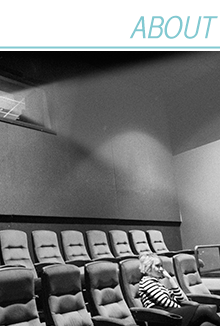 Joan Crawford: On screen I stand head and shoulders above everyone else. How did I get so strong? Milk. If I have time I'll still do a painting or a sketch tonight and upload it later, but right now I'm so worn out from spending the last few hours working on these! Really clever ads. The John Wayne one in particular is really funny: it's so incongruous & yet so right. FWIW, I thought Crawford looked great, hairline included. I love your posters, Kate! The detail of how the mustaches get darker in the shadow of the guy's faces is perfect. I adore the Joan Crawford one too! I know what you mean about the hairline. I've tried my hand at coloring b&ws and the hair is always the hardest. Well done! Where did you get the high res TCM logo? 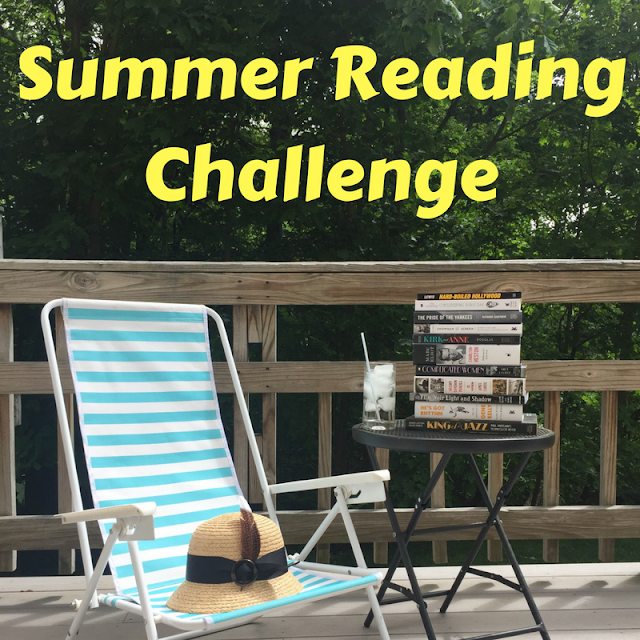 Your blog is amazing, which makes you amazing! casey- thanks! I just found it on a google image search. It wasn't incredibly high res, just big enough for the size I needed..
Carrie- Thanks... if you come up with any good tag lines for other people post it! How about a Robert Montgomery one! Too, too funny! These made my day, thank you very much : ) The John Wayne one cracks me up the most. I LOVE THOSE! hilarious! good job! 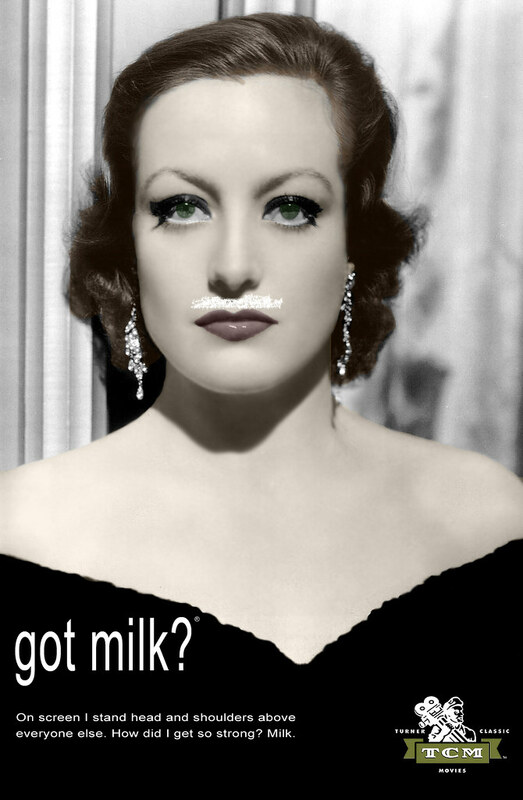 hahah i love the joan crawford one!! so good! This is absolutely hilarious, Kate! You are so talented! Lauren, Elena-Lu & Millie- Thanks!! Genevieve- I can't believe you haven't seen it yet! Go watch it, and go hear your theme song! !